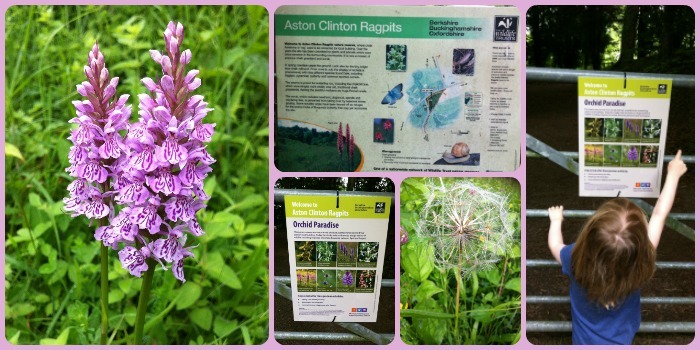 We first visited the Aston Clinton Ragpits back in April 2014 and saw on the information board that the area is full of orchids from April to August. We kept saying we should revisit to see the orchids and last month we did! It's a really pretty sight seeing the orchids in bloom. Closer inspection and we realised that there were a few different species. 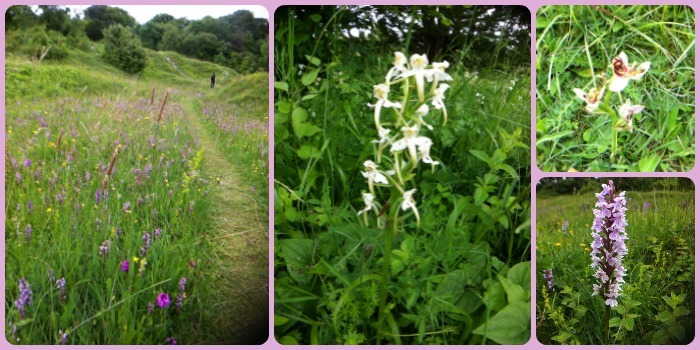 There were just 2 other people at the Ragpits whilst we were there and they knew there orchids which was great as they pointed out the Greater Butterfly Orchid. It was the only one and it was on a path we hadn't taken so we were grateful they told us. It was a nice little walk and good to get out for some fresh air. It doesn't take long to walk around but there is a bench over the fence which is great for a snack or picnic lunch pitstop. We aren't getting out for family walks that much at the moment so it was just nice to be outdoors together. 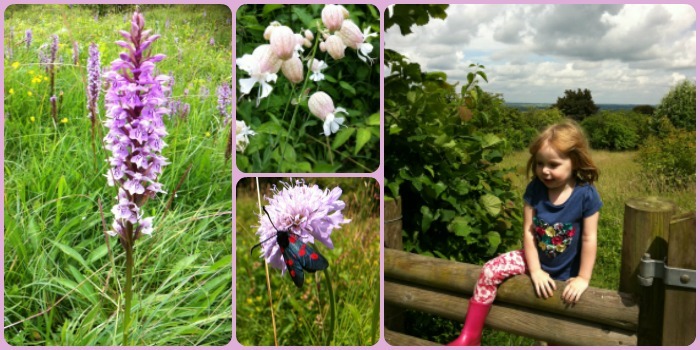 It's well worth timing your visit to the Ragpits to see these beautiful flowers in bloom. You can read more about our previous visit which we also combined with another local walk in this post - Ragpits and Reservoir.